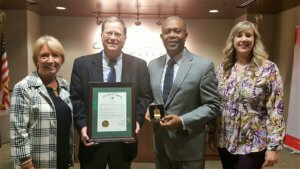 The Miller Theater was chosen by Easter Seals East Georgia as their Ornament of Hope for 2016 and was presented with a signed proclamation by the Mayor of Augusta recognizing this honor. 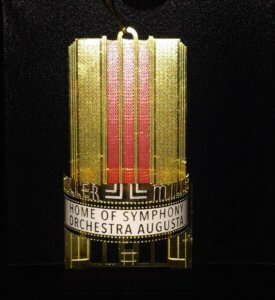 This special edition 24 carat gold on brass ornament depicts the Miller Theater and includes a certificate of authenticity. A Miller Theater ornament makes a perfect gift this holiday season. They are available for a limited time only – be sure to get yours today! Please call the SOA office at 706.826.4705 to purchase your ornament or visit our merchandise page for more information. Office hours are Monday-Friday, 9am-5pm. Online gifts are also being accepted, please click here to donate. Visa, Mastercard, American Express and Discover are accepted. The Miller Theater 33.474011, -81.964156 The historic Miller Theater in Augusta Georgia. Opt-in to our mailing list? NOW at the Miller Theater!